The U.S. 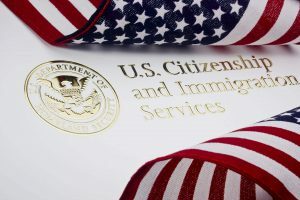 Citizenship and Immigration Services (USCIS) will begin disposing of E-Verify records that are over 10 years old in accordance with the National Archives and Records Administration (NARA) records retention and disposal schedule. Effective January 1, 2015, employers will no longer have access in E-Verify to records created prior to December 31, 2004. Under its ongoing NARA obligation, USCIS will dispose of E-Verify records annually. Therefore, on January 1, 2016, USCIS will dispose of records created on or prior to December 31, 2005. Employer Action Required: In order to assist employers that want to retain this information, E-Verify has created a new Historic Records Report. Employers wanting a record of its E-Verify cases that are more than 10 years old must download the new Historic Records Report before December 31, 2014. The report will include all transaction records for cases more than 10 years old. The report is only available until December 31, 2014. This report should be downloaded for each E-Verify account the employer may have. For more information, see the Fact Sheet and Instructions provided by the Department of Homeland Security.